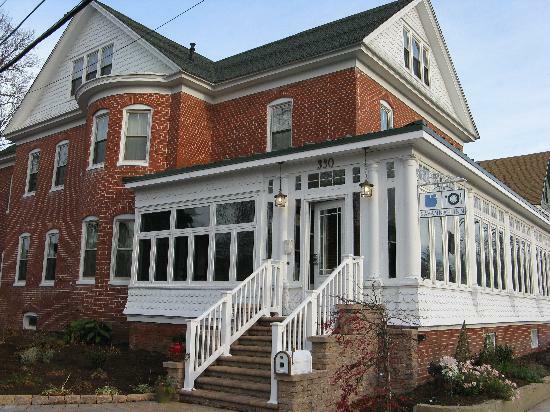 The Savannah Inn Bed and Breakfast offers contemporary and luxurious accommodations in downtown, historic Lewes, Delaware. The Inn is a short walk to all the wonderful shops and restaurants in town as well as two minutes to the beach, five minutes to the Cape May Lewes Ferry and six minutes to the Cape Henlopen State Park. The Savannah Inn is a newly renovated turn of the century brick Victorian home that boasts an updated, contemporary decor. We offer wonderful amenities including healthful, gourmet breakfast made daily as well as inhouse massage. Our guest rooms all have private baths and our expansive downstairs is the perfect setting for an intimate reception, dinner party or office gathering. The Savannah Inn is truly a place of relaxation and revival. Check our website at www.savannahinnlewes.com for photos and current news about retreat weekends with creative expression classes such as photography or jewelry design, yoga and meditation retreats, and healthy living cooking sessions.